SEOUL, Feb. 11, 2015 - A firefighter works at the site of a car pileup accident in Seoul, Feb. 11, 2015. 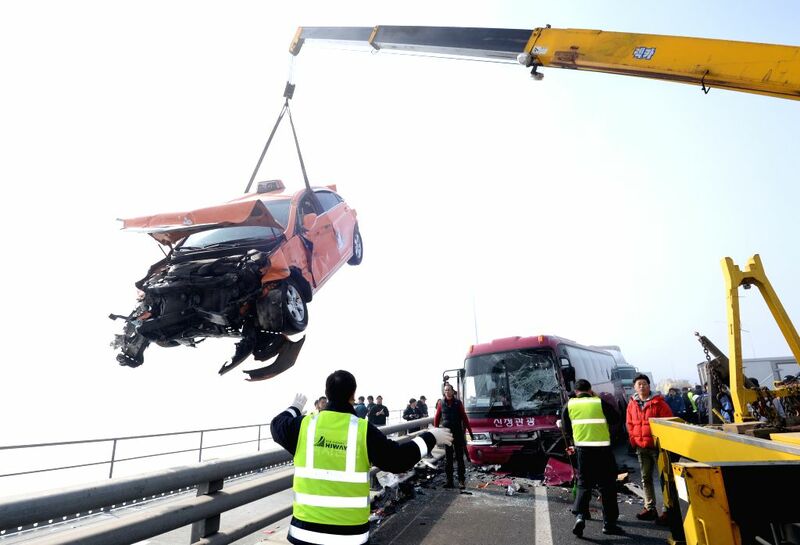 At least two people have been confirmed dead, with 65 others including seven Chinese injured, in a car pileup accident on Yeongjong Grand Bridge in Incheon, west of South Korea's capital Seoul, local media reported Wednesday. 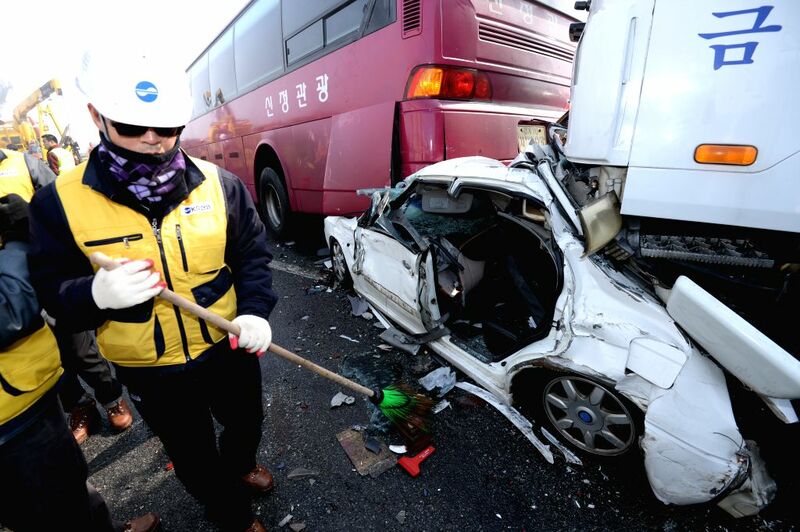 Firefighters work at the site of a car pileup accident in Seoul, Feb. 11, 2015.